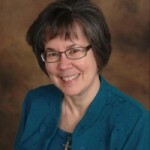 Once again, meet Sister Kathleen Glavich – author of 70 books and more. Who would have thought that a young woman, born and raised in the greater Cleveland, Ohio area would become so prolific? So talented? So much in demand? I mean, like being invited to the United Arab Emirates? To Oman? Sr. Kathleen’s career started rather nicely, if typically. Teaching. Recognized for her first book, she was invited to speak at the NCEA convention in Anaheim. Her presentation was entitled: “Twenty-Six Ways to Lead Students into Scripture.” And that led to another book on the same theme: Leading Young Catholics into Scripture. Once bitten, twice in love (with writing) – is that how the saying goes? Sister Kathleen never stopped to look back. Not many guests have been invited back to Catholic Vitamins for a second visit — but on this show, we welcome Sister back for a third visit. Always the good teacher, she came prepared and gave us a short teaching on God’s UBIQUITY – our faith vitamin for this show. Today, our two faithful correspondents: Marianna Bartholomew from the Chicago area, and Sonja Corbitt from Tennessee share wonderful reflections on our topic of this podcast. 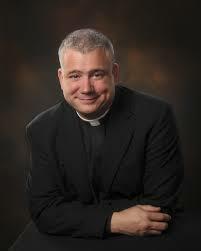 Now – as bonus material for this Catholic Vitamins, we share brief segments from the Phoenix Catholic Men’s Conference held Saturday 3/22/14. We have included three snippets from a great Catholic men’s effort. 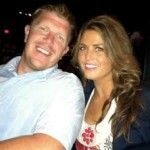 And pictured below is former football great and Super Bowl winner, Matt Birk (pictured here with his lovely wife). We were also able to share a brief portion of his talk to the men in Phoenix. You always get your money’s worth and more on Catholic Vitamins. 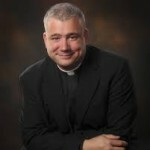 This entry was posted in Podcasts and tagged Author, Clergy, Music, Priest, Religious, Sister, Vitamin U. Bookmark the permalink.